If you want the smoothest ride and best fuel mileage for your car, then you need periodic front end alignment. Wheel alignment requires precise adjustments, so it should only be performed by skilled car mechanics such as our team here at TCR II Suspension Brake & Alignment in Tucson. If you’ve noticed any problems with your vehicle’s steering, we can fix them. And, during the alignment process we also check your suspension, so you can become aware of early problems before they require costly repairs. Why is front end alignment so important? Proper wheel alignment is critically important for several reasons: Fuel mileage, handling, and safety. Keep in mind that the proper tire alignment is necessary in order to reduce tires’ rolling resistance, and can save plenty of fuel and avoid excessive or premature tire wear. According to research, the average car driven an average 1,000 miles per month with a misalignment of only 0.17 inches can waste as much as a couple hundred gallons of fuel per year due to the friction of “dragging” tires. And, occasional wheel alignment can help add thousands of miles to your tires’ working life by reducing friction. 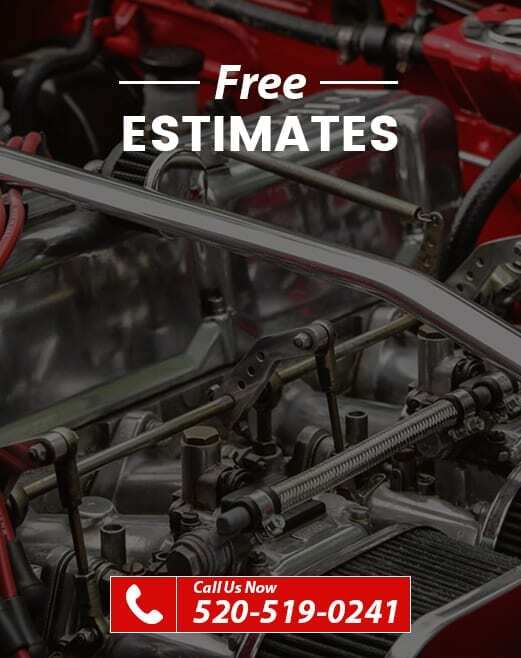 No matter which model of vehicle you drive, our certified expert car mechanics can provide perfect alignment, so you’ll enjoy a smooth ride and save money on fuel. Best of all, we offer quick turnaround time, and we also have access to easy financing, so you can afford the repairs you need today.